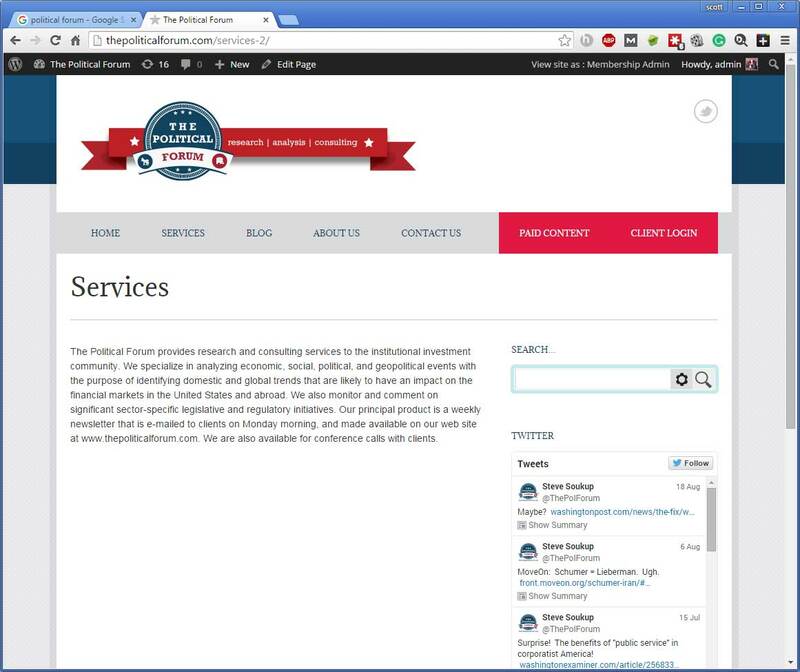 The Political Forum, a leader in the analysis of domestic and global financial trends, chose to with The Kansas City SEO group to create a new, sleek, modern website. The initial website had been created in 2003 and updated a few times over the next five years. That timeframe on the Internet is like dog years. Over the course of as little as 24 months, things can change considerably. What was once new is old, what was supported in the past is obsolete. Wanting to stay true to its roots, and not make an overly complicated, flashy website for the sake of appearances only, we began with a minimal, clean framework. Next on the website was to focus who the principals of the firm do, their experience, and what they bring to their clients. We created bios for Mark Melcher and Steve Soukup so that potential clients could learn who they’d be working with. We highlighted their years of experience, and how they’re able to bring together many factors impacting the financial industry. There was a request for the firm to be able to quickly reach its audience and share relevant, timely information. 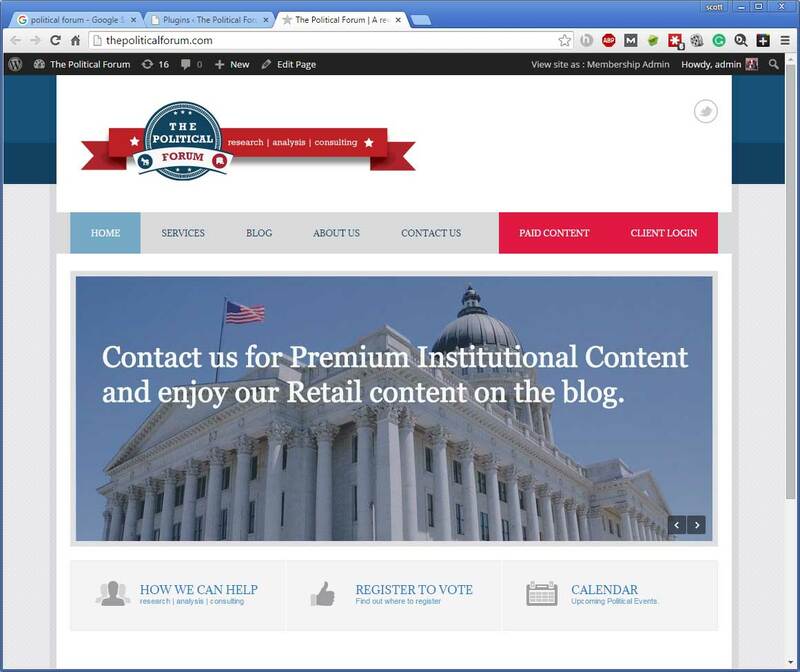 We recommended the inclusion of a blog. The website was configured so that no knowledge of HTML or web design was needed – we made it as simple as typing out an Email to make blog posts. 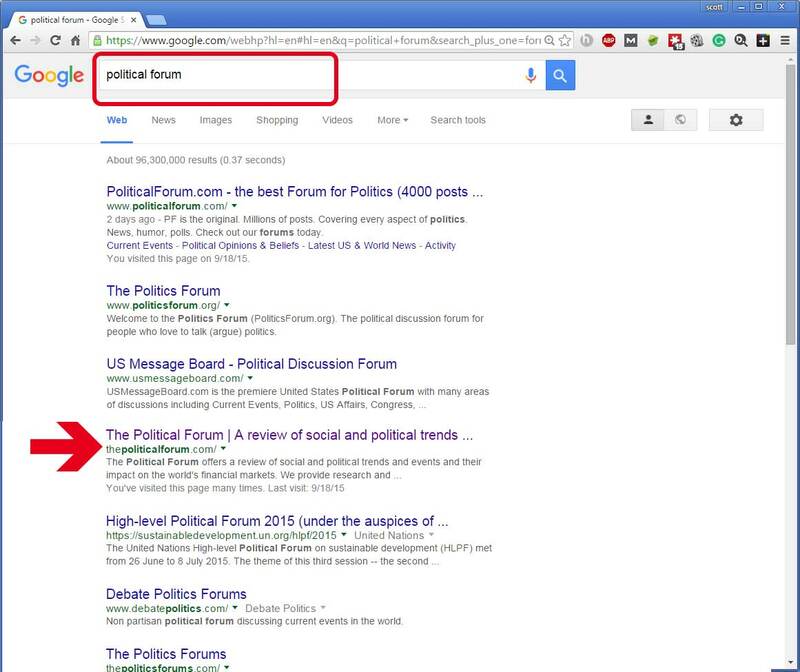 The main product of The Political Forum is a paid newsletter – content that needs to be controlled and secured. We recommended making this content accessible through a user and password protected system. Doing this ensured that nothing would leave the site unless an authorized subscriber had logged in. It was also recommended that social properties be set up, so that a larger audience could be reached. A Facebook group is in the planning stages, and a Twitter account has been enabled.